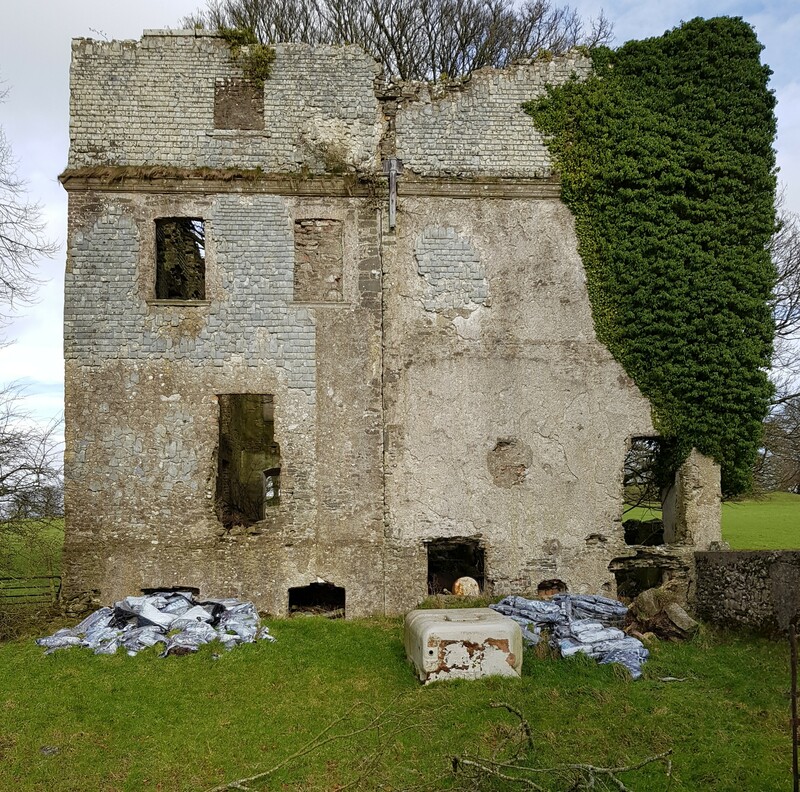 About half way on the train journey between Dublin and Cork, passengers will see a vast ruin close to the line: this is Loughmoe Castle, County Tipperary former seat of the Purcell family. The Purcells were of Norman origin, their name derived from the word Pourcel, meaning Piglet and indicating they were once swineherds. 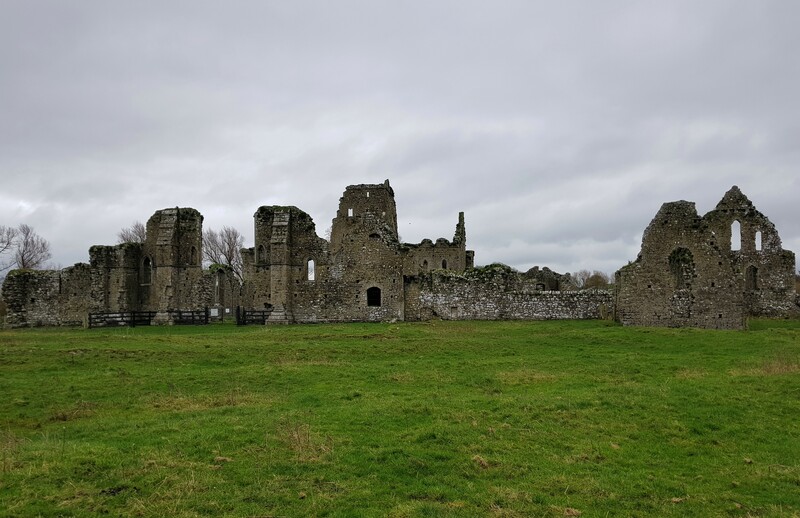 Their circumstances improved when members of the family moved to Ireland in the late 12th century and settled in Counties Tipperary and Kilkenny. 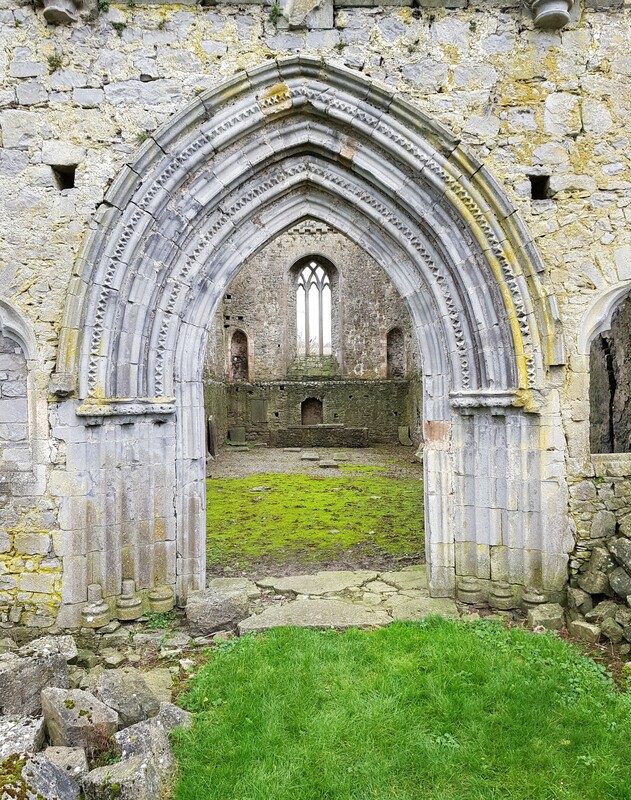 At the start of the 13th century Hugh Purcell married a daughter of Theobald FitzWalter, Chief Butler of Ireland and founder of the powerful Butler clan. As part of the marriage agreement, the Purcells were granted territory around Loughmore/Loughmoe, which thereafter became their principal residence. The name Loughmoe derives from the Irish ‘Luach Mhagh’ meaning Field of the Reward. This refers to a legend that Purcell won both his bride and estate by meeting a challenge to rid the area of wild beasts. Whatever the truth, this was the start of a powerful and enduring alliance. In 1328 James Butler, first Earl of Ormonde created his kinsman Richard Purcell Baron of Loughmoe: since the title was not granted by the crown it had no official status but was used by successive generations of the family until the last male heir Colonel Nicholas Purcell died in 1722. The earliest section of Loughmoe Castle is a tower house on the south side of the site, dating from either the 15th or 16th century. Of five storeys, it has curved corners and, on the ground floor, a typical vaulted chamber measuring 37 by 29 feet. At some point in the late 16th or early 17th century, the family greatly expanded the building to the north, creating an immense fortified manor house. The middle section rises four storeys, but that at the far end matches the original tower house by rising five storeys. The main difference between the two portions is that the newer has mullioned windows of eight, six or twelve panels, ensuring the interiors enjoyed much more light. A number of chimney pieces survive within the castle from this period, one of them bearing the arms of the Purcells and Butlers, further evidence of their close links. The Purcells were still in residence at Loughmoe Castle in the 17th century, but problems arose owing during two great periods of civil disturbance. In the Confederate Wars James Purcell, whose wife Elizabeth was sister of James Butler, first Duke of Ormonde, supported the Roman Catholic cause, with consequences when this side lost. Matters were made worse by his death in 1652, leaving a widow and young son fighting to hold onto the family’s hereditary lands. Following the restoration of Charles II in 1660, and the appointment of the Duke of Ormonde as Lord Lieutenant of Ireland the following year, the Purcells’ circumstances improved. Nicholas’ son James seems to have lived quietly at Loughmoe until the onset of the Williamite Wars when he supported the Catholic James II from the moment the king arrived in Ireland in May 1689. James Purcell fought at the Battles of the Boyne and Aughrim, and was a signatory of the Treaty of Limerick. Following the defeat of the Jacobite cause, he did not follow the example of others and flee to France but remained in Ireland, living on at Loughmoe where he appears to have retained his property; in 1705 he was one of the limited number of Roman Catholics permitted to carry firearms. He died in 1722, predeceased by his only son, after which Loughmoe passed to one of his daughters, married to a member of the White family; they were the last link of the Purcells with the castle. The church at Dunfierth, County Kildare dates from c.1500 and is associated with the de Bermingham family which at the time was still the dominant family in this part of the country. In 1548 a tomb to Walter de Bermingham was built inside the church, and this featured a number of fine carvings. In 1815 the de Berminghams had long since gone from the area, and the Hamilton family constructed a vaulted mausoleum inside the former chancel of Dunfierth church. This incorporated a number of carvings from the older tomb, such as a Crucifixion scene, and bands of ‘keeners’ on either side of the structure. Inside the rear wall features the carving of an armoured knight, only really visible if the natural light is sufficiently good. There are other fine pieces of work elsewhere on the site, such as this window on the south wall. ‘Athassel, in the Barony of Clanwilliam, and on the west side of the river Suir. William Fitz Adelm de Burgo founded this abbey under the evocation of St. Edmund, king and confessor, for canons regular of St. Augustine. A.D. 1204, the founder was interred here. A.D. 1309, the prior was sued by Leopold de Mareys and Company, merchants of Lucca, for the sum of five hundred marcs, £2,500 sterling. A.D. 1319, the town of Athassel was maliciously burned by the Lord John Fitz Thomas. A.D. 1326, Richard, the Red Earl of Ulster, was interred here. A.D. 1326, Bryan O’Brien burned Athassel to the ground. A.D. 1482, David was prior. A.D. 1524, Edmund Butler was prior, and the last who presided over this venerable establishment. Its property in land consisted of 768 acres, besides twenty messuages, and the income of rectories amounting to £111 16s 8d, or twenty-two marcs, which would in American money exceed $550. All this property was granted forever to Thomas, earl of Ormond, at the yearly rent of £49 3s 9d. Queen Elizabeth confirmed this grant and remitted the reserved rent.